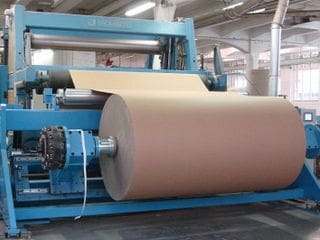 Unwinding of materials rolled into reels or spools, under controlled conditions. Magnetic dust. Formed of several spaced discs, and between them filled witgh magnetic dust that is magnetized with an electric coil causing the braking. 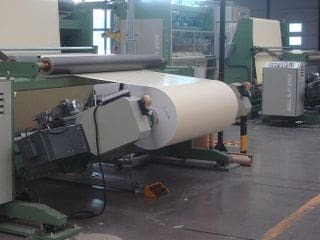 The main advantatge of this system is the brakage linearty that offers. But it is only adaptable to small unwinders, and for plastic materials or similar. Pneumatic. 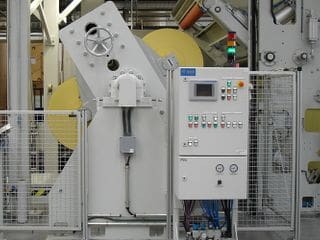 Are compound by a disc fixed to the shaft, a various clamps activated by pneumatic cylinder. With a pressure transducer, the air is transmited to teh clamps forcing its closure and thus the disc braking. With this system very high brakage torques are achieved, but it lacks of linearity. 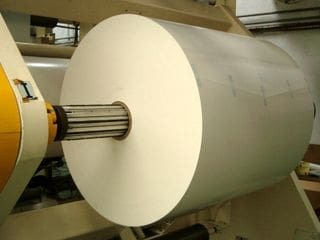 Normally it is used for paper, cardboard or thick materials. Motorized. With this option, the braking torque is achieved with a motor, working as a generator. In this system combine the previous systems advantatges; great linearity, and high braking power. Moreover a few advantatges more are gained: elimination of temperature problems and brakes wearing off. Regenerative. 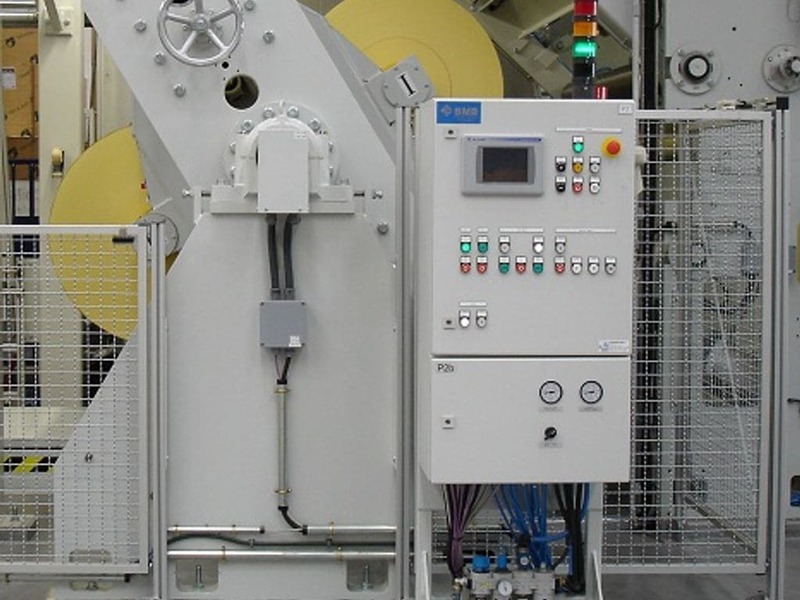 The advantatges of motorized brakes can be broaden when combined with regenerative equippment. 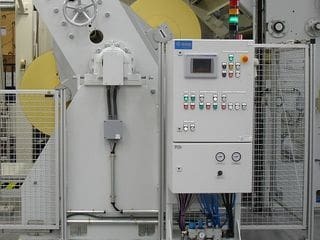 This enables braking energy recovery for its consumption elsewhere in the machine, and the consequent savings that this generate. Independently of the chosen braking system, the diameter and material grammage are calculated to anticipate stopping signals due to diameter or metering. 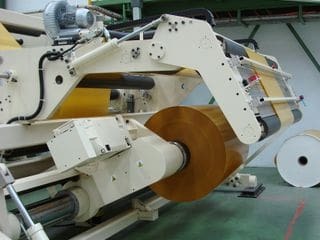 These signals can be used to stop the machine, or to automaticaly change the roll.